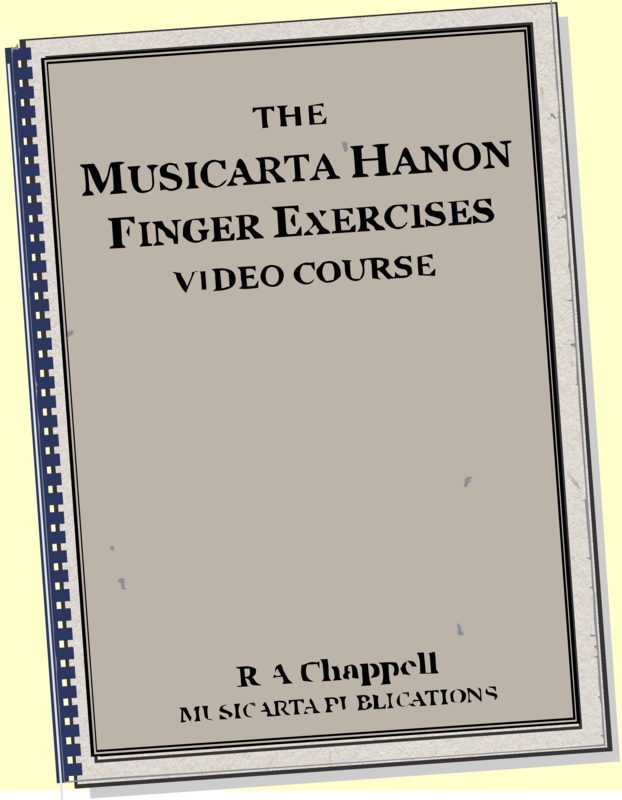 The Dominant Doodle rehearses particularly the notes you need to play the Moving Pair riff – and demonstrates a few points of the ‘practical theory’ which will eventually make playing all twelve-bar music natural to you. 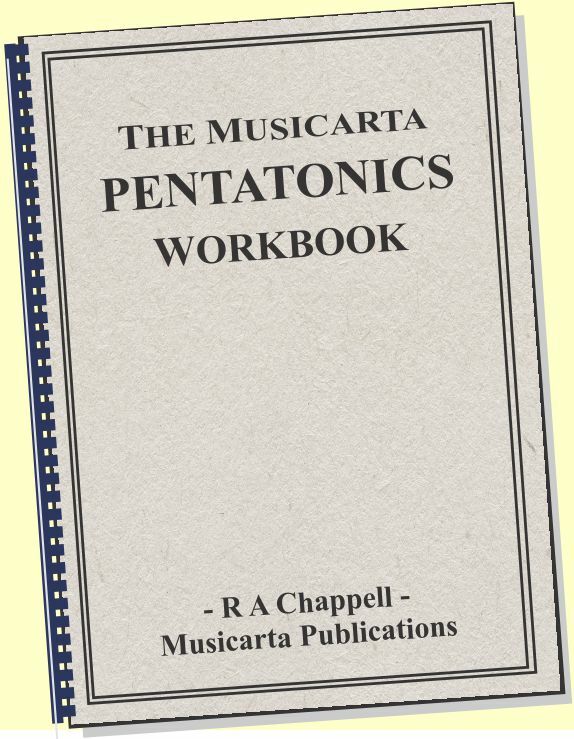 The music for this little study is in the download workbook, but you should try to learn it from the theory laid out here and from the video. Twelve-bar really is without-the-dots music! For your convenience, here is the performance audio file. Twelve-bar music like blues, boogie and rock’n’roll is built mainly on three chords in a key: the tonic – I, the subdominant – IV and the dominant – V, and uses the dominant seventh scale of each of these chords. So a twelve-bar in G will use chords G (I), C (IV) and D (V). The dominant seventh scale is the same as the major scale apart from a flattened seventh scale tone – a semitone lower than the seventh note in the major scale. So the seventh scale tone is now a whole tone below the tonic. The G seventh scale is shown in two places to help you come to terms with the ledger lines. 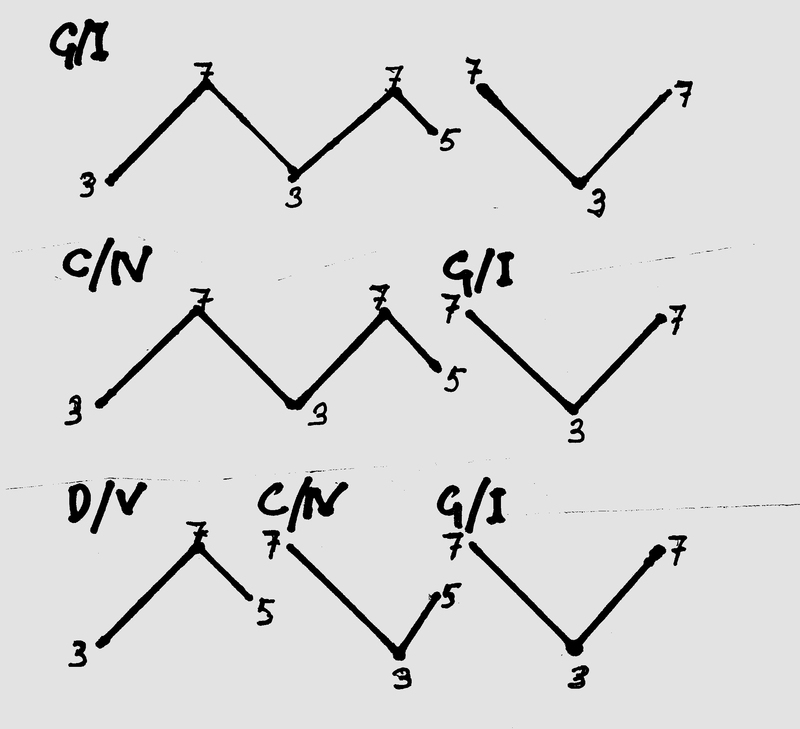 In the Dominant Doodle, the right hand plays the scale tones from the third to the seventh (dominant scale), and the left hand plays the tonic (root of the chord). ... but here, the bass note is played an octave lower than shown in the illustrations. Learning goes much more quickly if you get an overall picture of your piece, rather than just playing one note after another. Here's an 'aerial view' of the Dominant Doodle. The zigzag lines in this sketch represent the seven phrases of the riff. start on the seventh and go down. the last phrase in the whole piece turns round and heads off down to the tonic to finish (not shown). Listen to the Dominant Doodle again as you look at (read through) the sketch. Thinking like this puts you more in charge of the music-making. The sketch is left deliberately rough to give you an example to follow. Making non-manuscript sketches of music is very useful for your brain, and sketches don’t have to be accurate or particularly well-finished for you to know what you mean. The very act of scribbling something down fixes it in your head very effectively. If you find the Dominant Doodle study very easy, use your bird's-eye view to transpose it! First, try to ‘see’ this simple riff right through in your mind’s eye in other keys – C and up to two sharps/flats, for example. 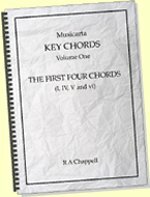 What are chords I, IV and V in your new key? 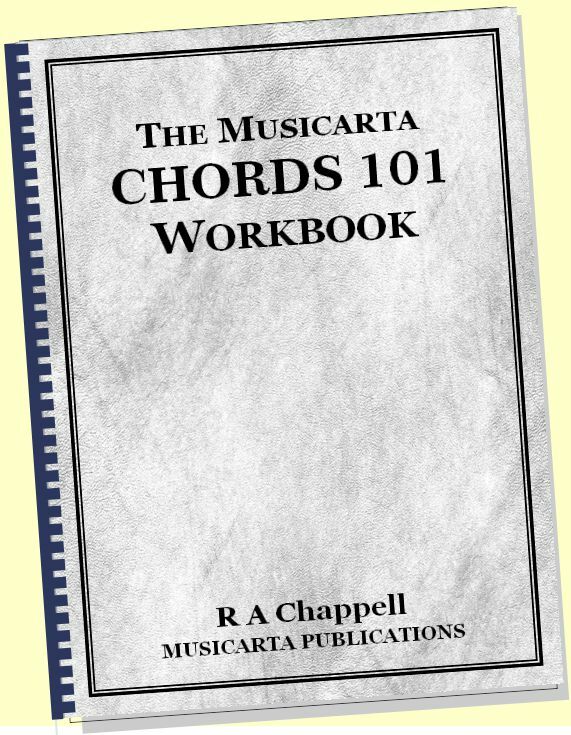 What are the notes of the three dominant seventh scales (of those chords) you will need? What are the particular third and seventh scale tones you will have to find to start the up/down segments of the riff? Do this in your head a few times before trying it out on the keyboard. You will use the bird’s-eye view sketch, the I, IV, V chord names, the zig-zag shapes and the 3, 5, 7 chord-tone numbers to find the right notes. You can easily transpose the Dominant Doodle MIDI file (in your download) by using the ‘Key’ function in MidiPiano. Click up or down until the first left hand note is the tonic/name-note of the key you want to play in. Playback will then show you the hand positions for the I, IV and V chords. 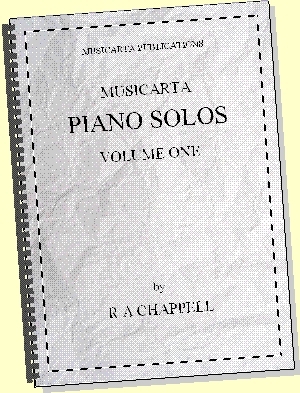 Or, you can work the process the other way and watch-and-listen to the modulated performance on MidiPiano until the answers to the three questions above become apparent to you. Otherwise, you can just listen to the Dominant Doodle audio ‘as if’ it were in a different key. 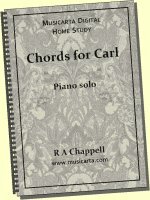 If you were playing in C, the first notes of the audio would be C (root) in the left hand and E (the third) in the right. Where would it go from there? To do this – and any transposing – you need to know your scales! 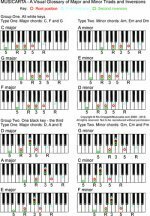 You need to know the (major) scale of the key you’re in to find the IV and V chords and to form the flattened-seventh (dominant) scale of your home chord (tonic – I). You need to know the (major) scales built on IV and V to make the dominant (flattened seventh) scales – by lowering the major seventh a semitone. Another piece of information that makes remembering this piece easier to play from memory and transpose is to spell out to yourself how much the tune goes up or down between phrases. See if you can hear the melodic jumps between the phrases. Of course, when you transpose, these jumps will be the same size too. The Dominant Doodle is a nice elementary-level performance piece in itself. As another pass over the Moving Pair territory, it will help definitely you to ‘see the music in the keyboard’ and get the jumps right first time, more and more frequently. 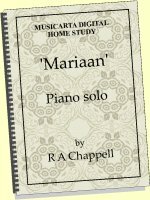 The Dominant Doodle might also offer you a welcome calmer way of learning the three sets of notes which between them generate nearly all twelve-bar music – especially with the suggested transposing component. 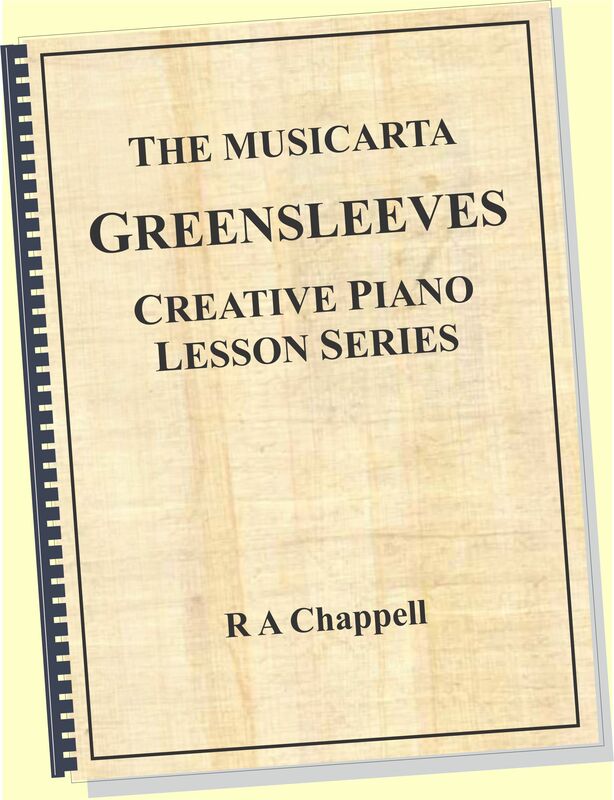 With just the bird’s-eye sketch to guide you, you can ‘warm your musical brain up’ for creative keyboard work in no time at all!